If you haven’t tried martial arts because you think you’re too old, too fat, too skinny or too non-athletic, this message is for you; “You’re Not Too Anything & Martial Arts is for Everybody!” If you had to be young, good looking and in great shape to take martial arts classes, there wouldn’t be very many martial arts schools left. From ultra-fit athletes to pimple faced skinny teenagers to beer-drinking couch-potatoes; they all reap the benefits of martial arts training and you can too. The most important thing is finding a good school with an instructor that is knowledgeable, good at teaching, friendly and that you’re comfortable with. The good news is that you’ve already found a great school in American Martial Arts Academy, our instructors are all experienced martial arts professionals specially trained to teach and work with different age groups and ability levels. The physical and mental benefits are awesome and we’ve got a great special offer to help you get started. Your journey to a healthier, more confident and happier way of life begins with a single step. To encourage that first step, the American Martial Arts Academy would like to offer teens and adults a FREE martial arts training class. 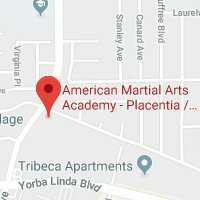 Your FREE Martial Arts Training Session will be mentored by one of our outstanding Certified Martial Arts Instructors and to make sure that your experience as comfortable and authentic as possible, we’ll even toss in a brand new American Martial Arts Academy Karate Uniform at NO EXTRA CHARGE! Fitting-in, measuring-up and meeting today’s societal expectations puts a tremendous amount of stress and pressure on Teenagers and Adults. 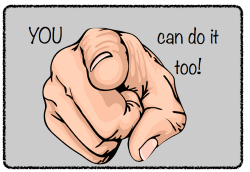 Working out regularly and staying physically active is a great relief valve, but who has the time, desire or willpower to perform monotonous exercises in a sterile and impersonal gym environment day after day after day. Millions of Teens and Adults have turned to Martial Arts for a much more stimulating, beneficial, rewarding and enjoyable alternative to gym boredom. 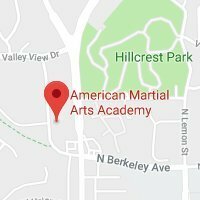 If you’re looking for a more enjoyable, supportive and compelling alternative to traditional exercise programs, than you owe it to yourself to give American Martial Arts Academy a try! Our Teen & Adult Martial Arts program employs a unique system that effectively combines the power of body and mind to increase your energy, discipline and fitness for a longer, happier and more fulfilling life. 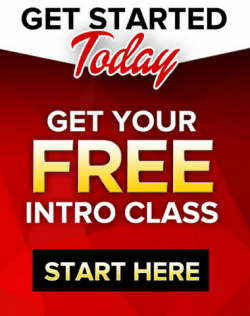 The overall effect of combining classic Karate moves, exercises and time-tested self-defense techniques along with a rigorous fitness and conditioning program, kick-starts the bodies fat burning process, tones your body, clears your mind and cleanses your spirit!